<i>Still Life with Woodpecker</i> is sort of a love story that takes place inside a pack of Camel cigarettes.&nbsp;&nbsp;It reveals the purpose of the moon, explains the difference between criminals and outlaws, examines the conflict between social activism and romantic individualism, and paints a portrait of contemporary society that includes powerful Arabs, exiled royalty, and pregnant cheerleaders.&nbsp;&nbsp;It also deals with the problem of redheads. 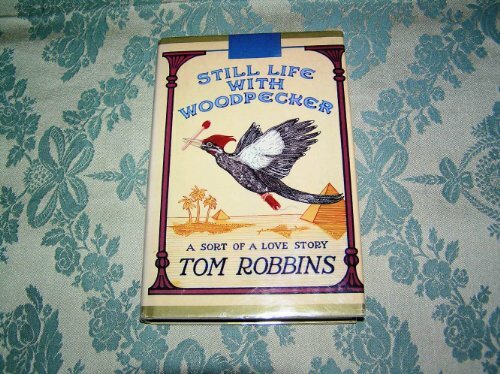 Tom Robbins has been called &#x201c;a vital natural resource&#x201d; by <i>The Oregonian</i>, &#x201c;one of the wildest and most entertaining novelists in the world&#x201d; by the <i>Financial Times</i> of London, and &#x201c;the most dangerous writer in the world today&#x201d; by Fernanda Pivano of Italy&#x2019;s Corriere della Sera. A Southerner by birth, Robbins has lived in and around Seattle since 1962.